Heave Ho is an upcoming platform game from Le Cartel and Devolver Digital in which up to four friends traverse obstacles mid-air and try not to let each other fall to their horrible, untimely demise. You play as little cartoon folks with long, stretchy arms but no other appendages to speak of. It looks great. 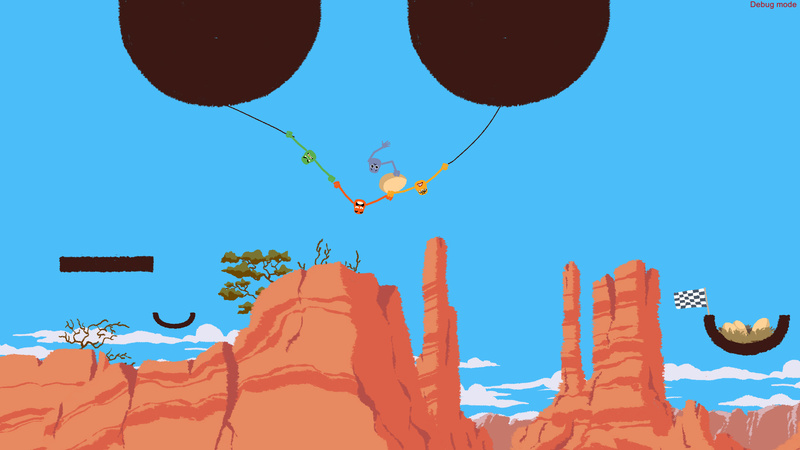 This is a silly physics co-op game that seems loaded with laughs and I can't ever have enough of those in my life. Heave Ho is coming to Nintendo Switch and Steam this summer. I'm so there. The characters kind of remind me of those sticky hands that come out of capsule vending machines and immediately get covered in hair and gross particles the second you start playing with them.